The year has been full of all kinds of fun unique projects keeping me on my toes. 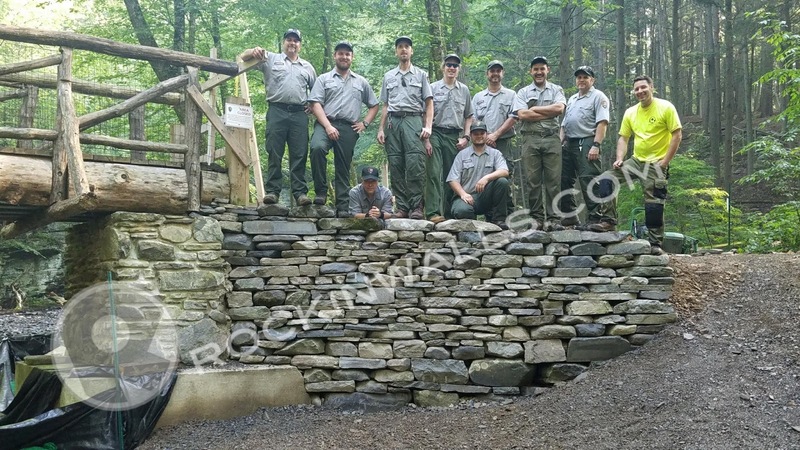 So much I haven't taken the time to share with everyone what I've been up too. I felt one blog would be a great start to show how the year has been going. 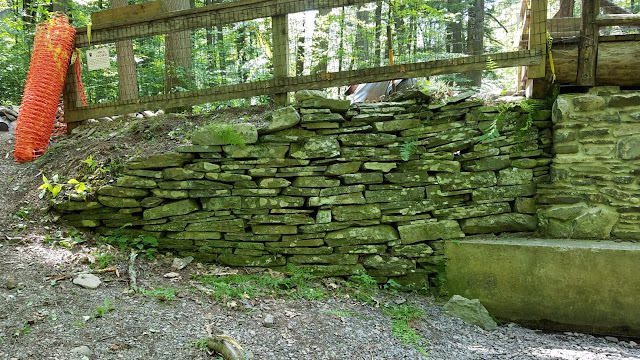 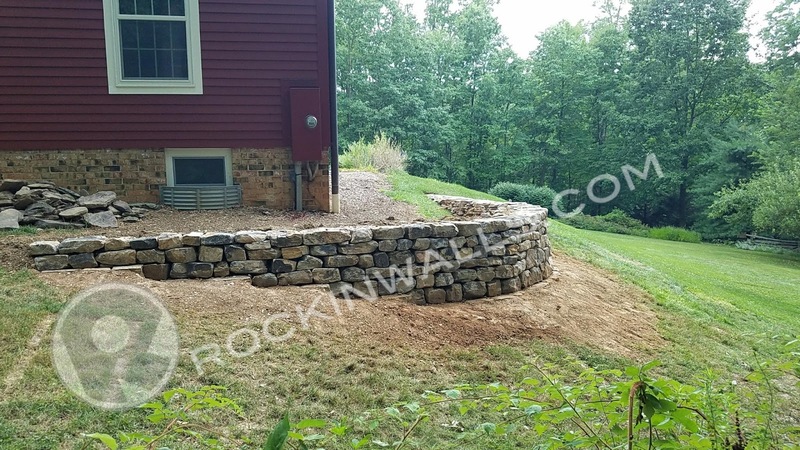 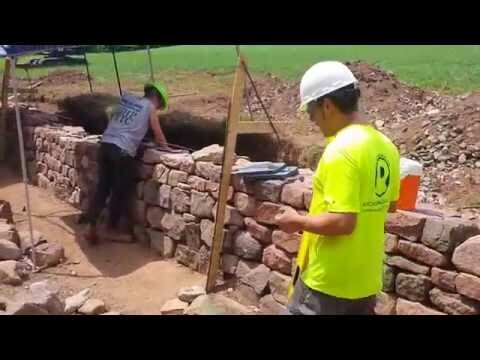 Some of my high lights for me were working with the DEWA National Park Service again on a historic wall rebuild in Delaware Water Gap PA. 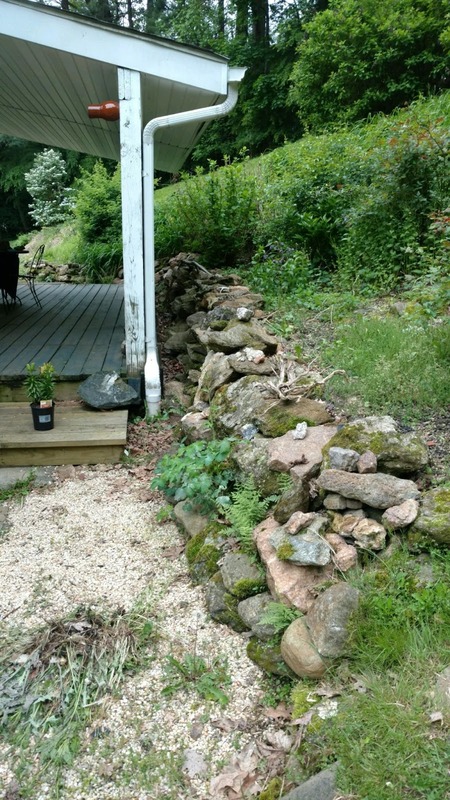 Along with the first chance to build with a new Mountain stone from my Amish buddy Mark P. from PA. 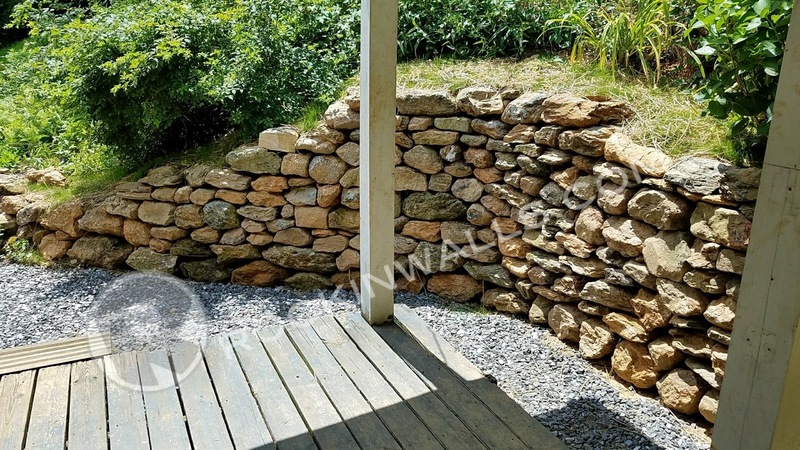 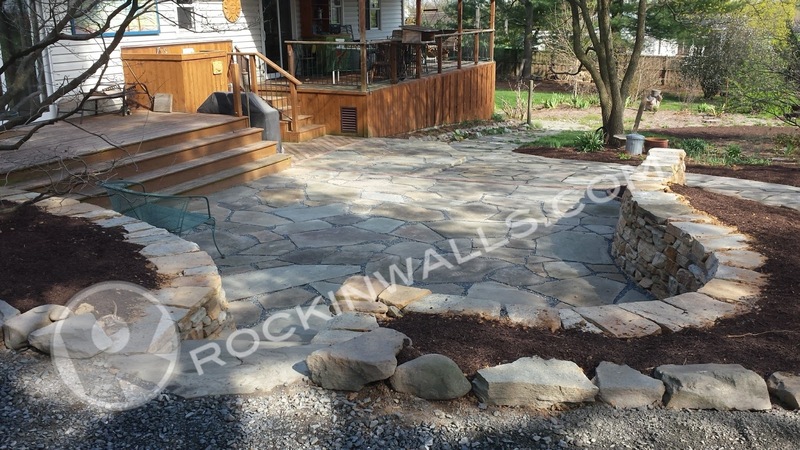 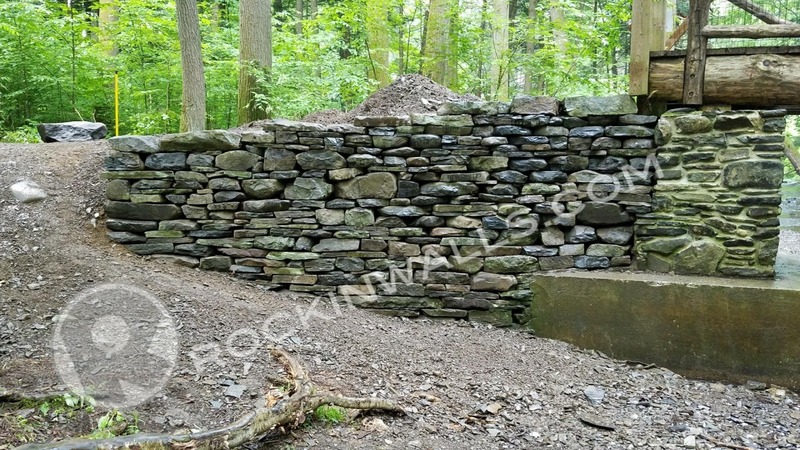 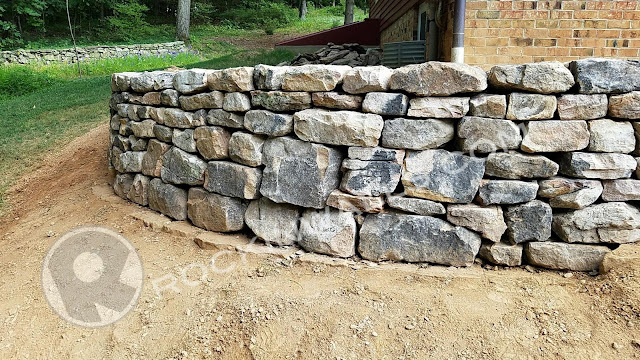 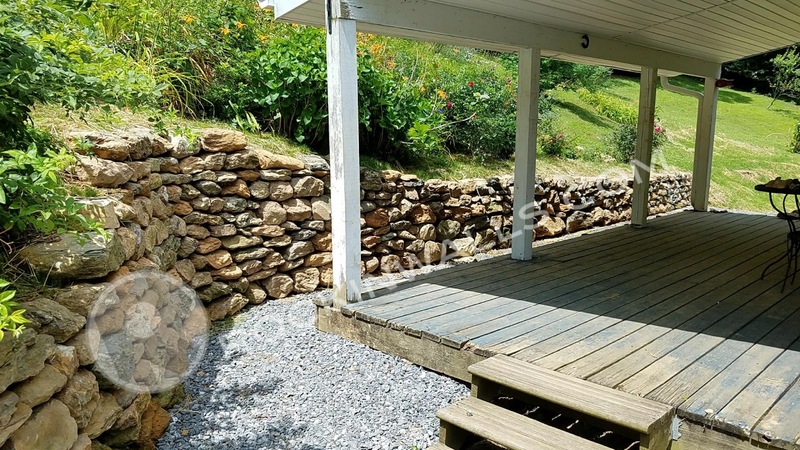 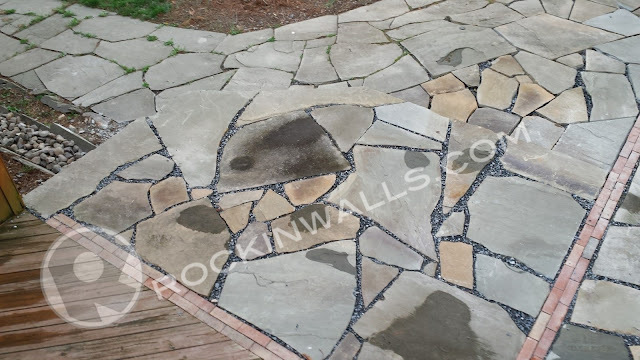 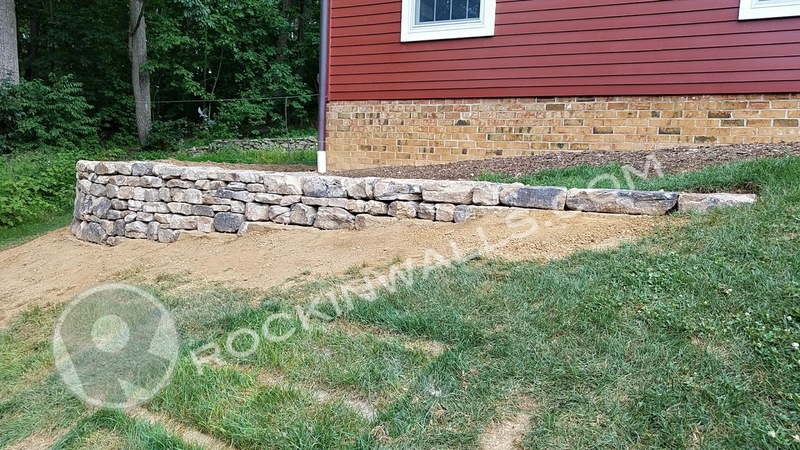 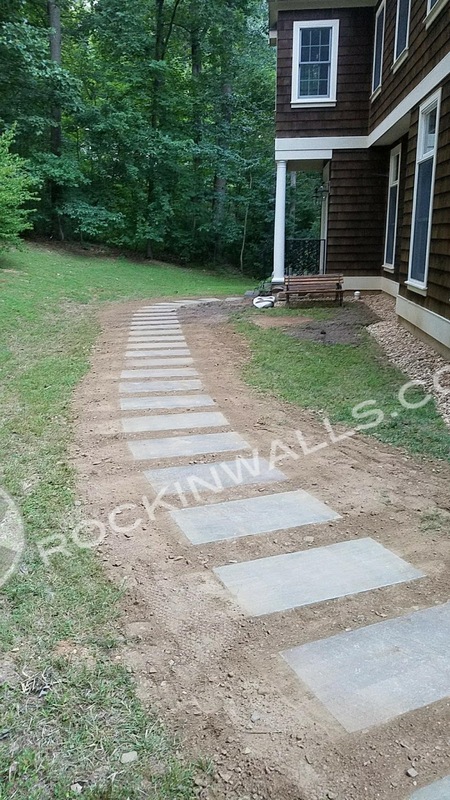 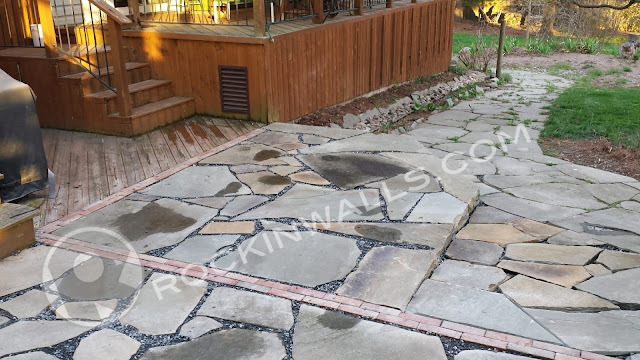 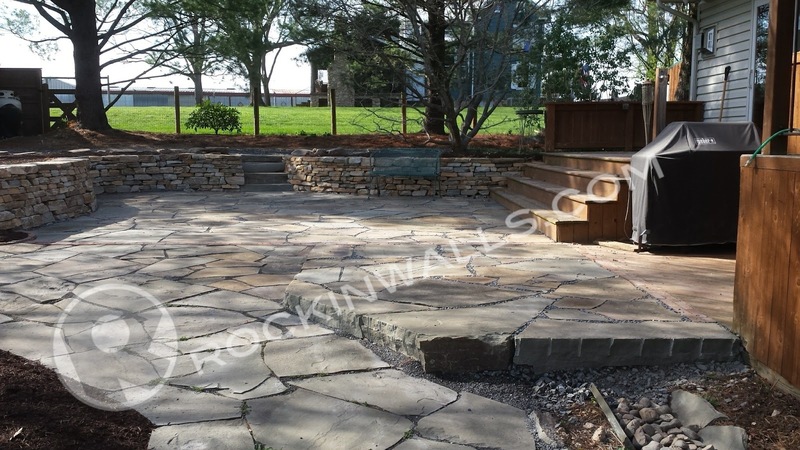 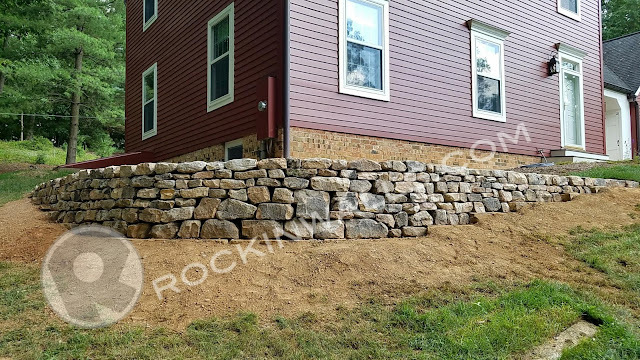 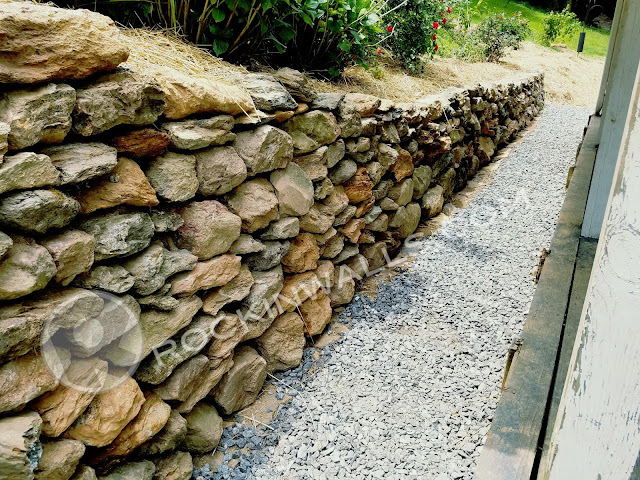 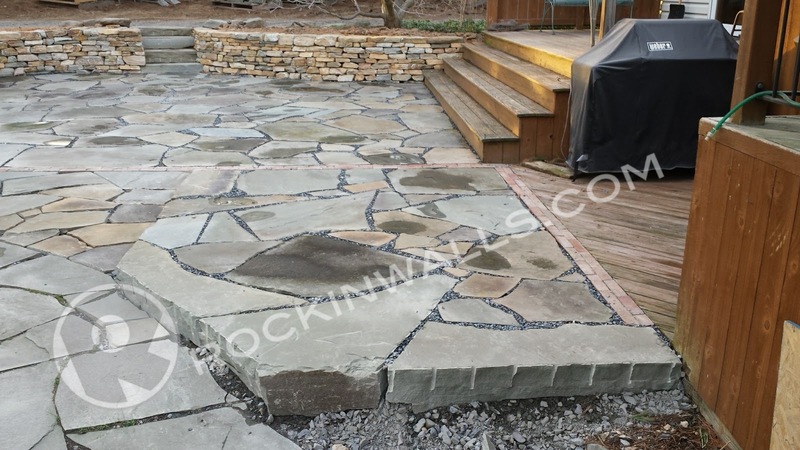 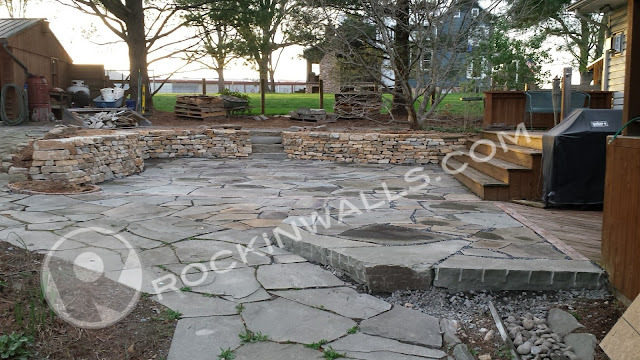 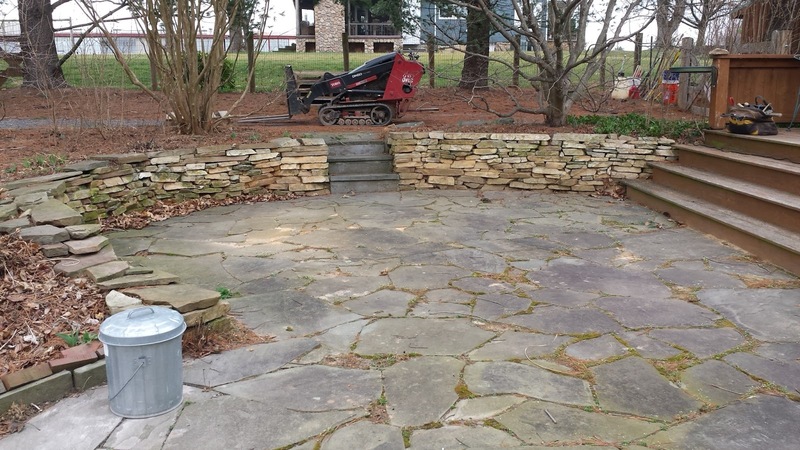 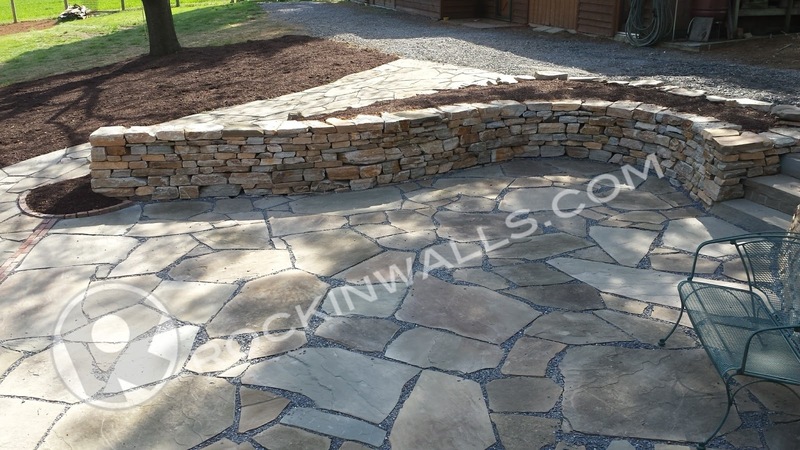 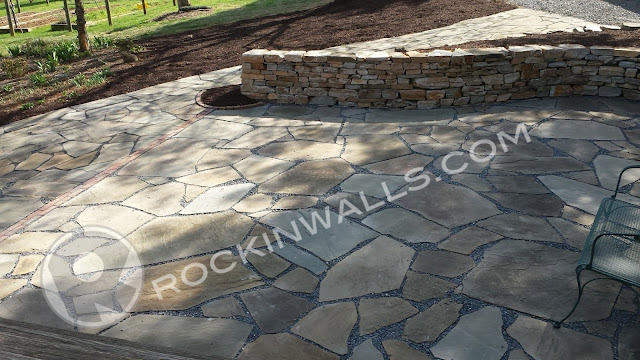 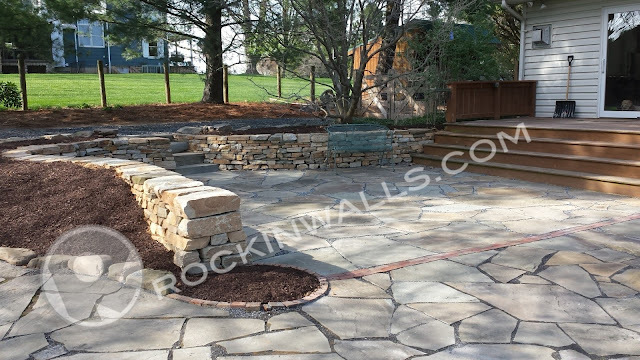 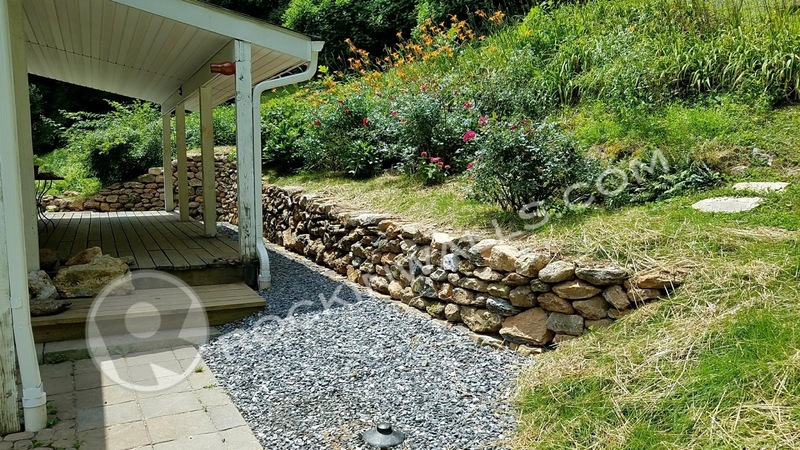 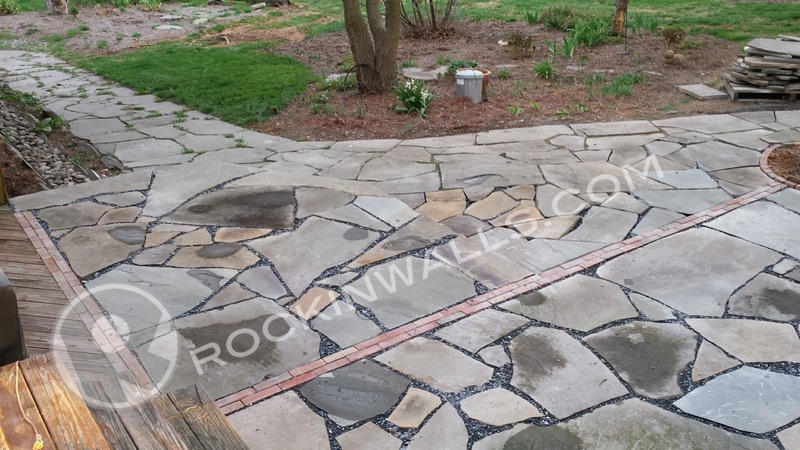 The Tuscarora Mountain Stone has a very rustic look giving a beautiful weathered appearance. 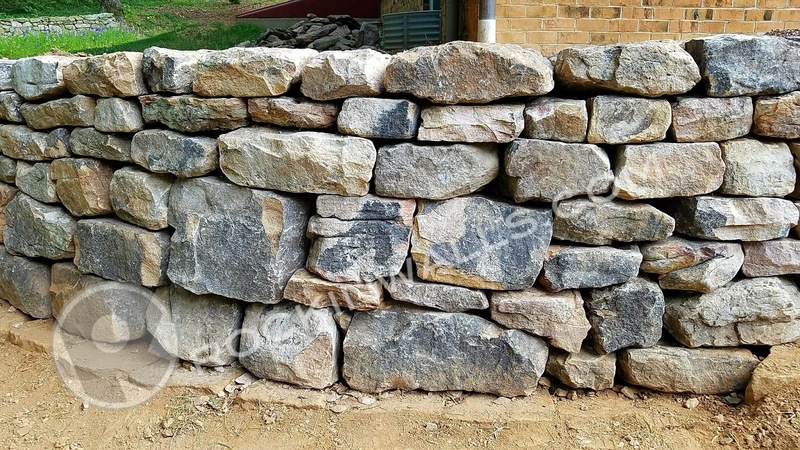 I'm excited to have this exclusive product to build with. 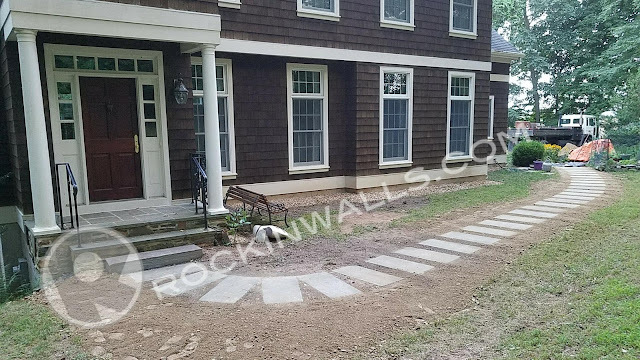 This type of product is the highest sold patter for thin veneer on new home builds in our area. 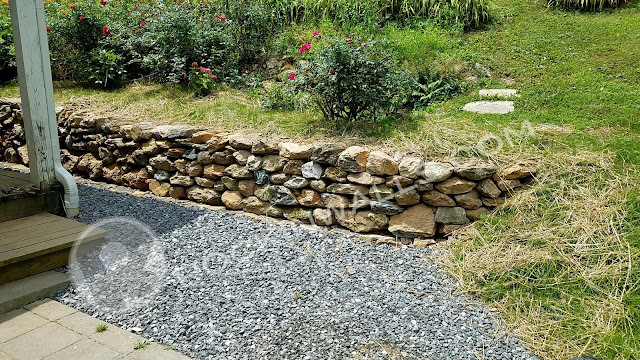 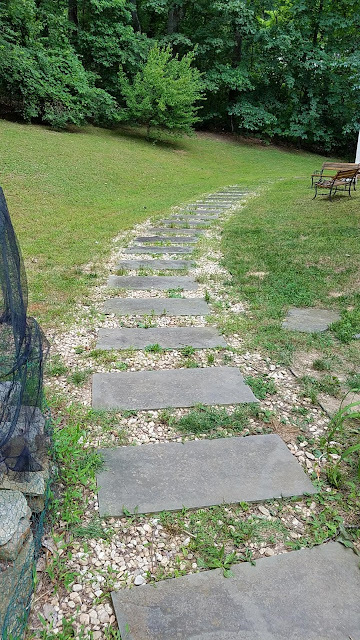 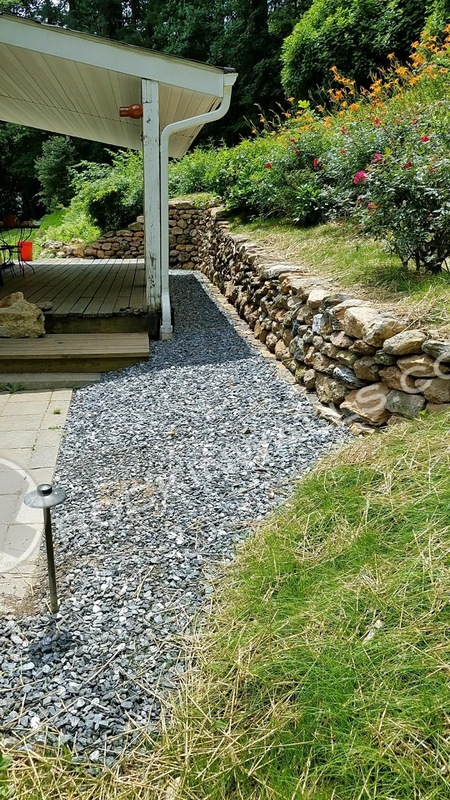 Before Makeover, Blue stone filled with river gravel. Note to self never do this! What a pain to rake out of dirt. 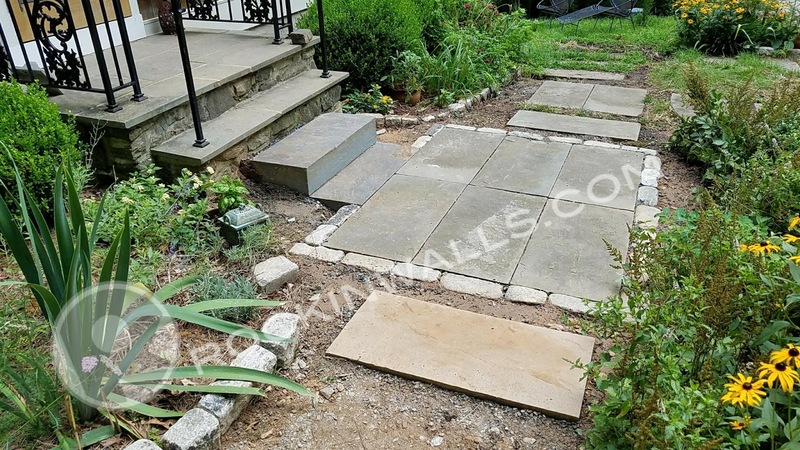 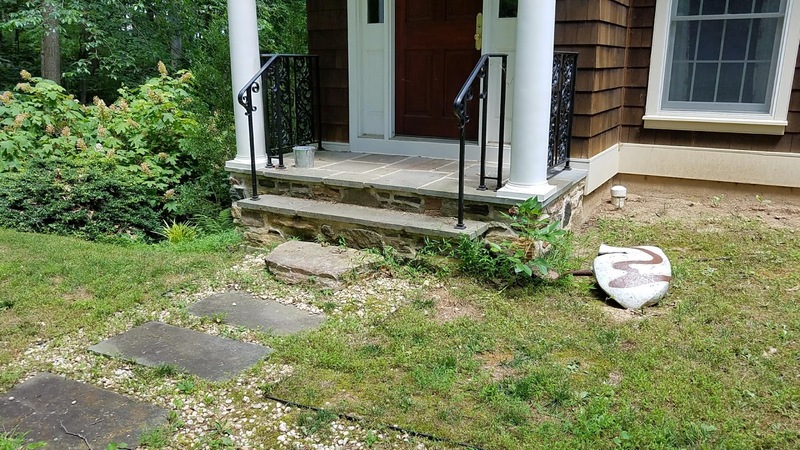 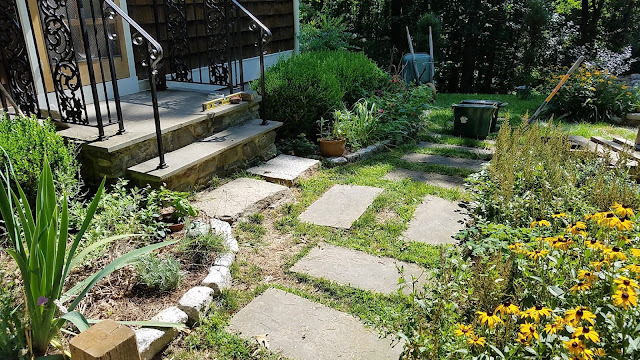 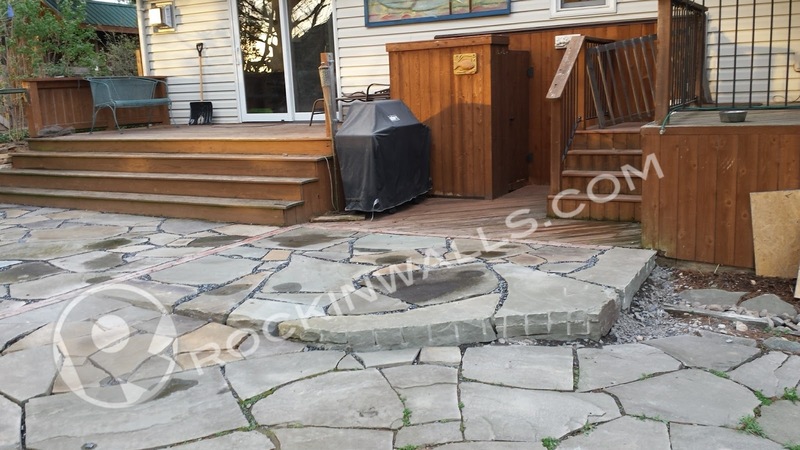 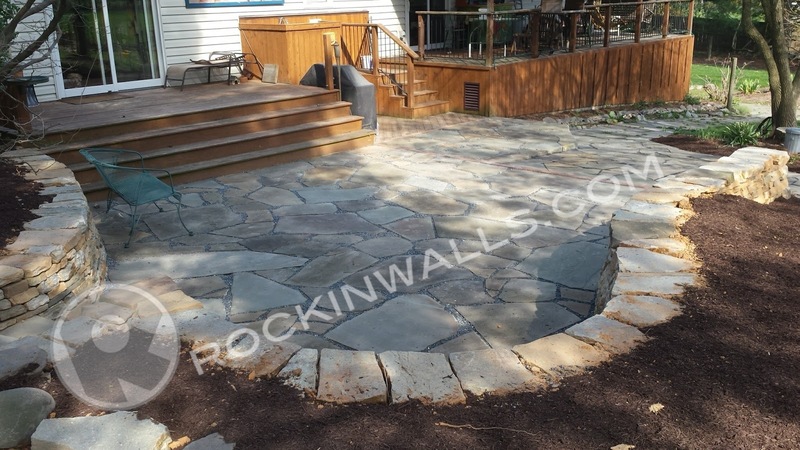 New Blue Stone Steps with repurposed blue stone steppers and cobbles to make a beautiful new landing to enter the side door used as the primary door.